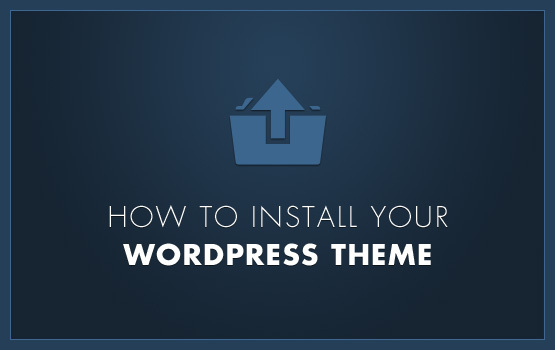 > How to install a new theme in WordPress? Automatic installation: Under Appearance, click on the Themes tab and select Install themes settings according to your needs and confirm. A page range of topics from the official gallery corresponding to your search criteria will be displayed. Preview gives you the opportunity to see the rendering of the theme without having to install it. If it suits you then do Install Install Now. Once set up, you just have to be more active. It is now possible to automatically install a theme from a ZIP file. To do this in the Install tab themes, simply click on Send. Simply click the Choose File to select the zip file containing the theme. It remains only click Install the installation is done automatically. Manual Installation: After downloading a theme, you will need to unzip it if it is stored in a file in the ZIP or RAR form. Transfer via FTP the folder containing your theme folder wp-content/themes of your WordPress installation and then activate it in the admin in Appearance, Themes where it should appear.